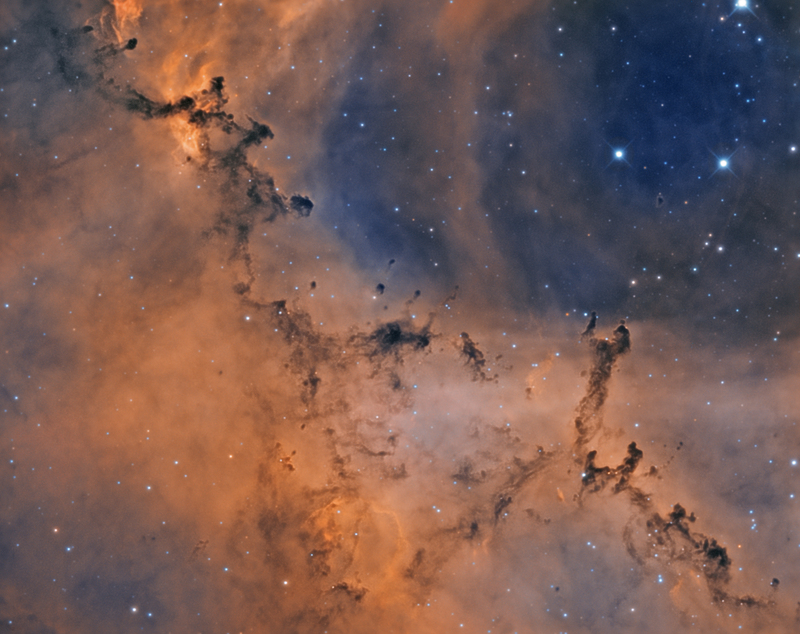 The dark nebulae in this photo are part of a complex of Bok globules inside of the Rosette Nebula, NGC2237. Bok Globules are dense opaque clouds of dust and gas, some of which are condensing under gravitational attraction to form stars and planets. The Rosette nebula is located in the constellation of Monoceros approximately 6000 light years away.